I often find myself reading exciting, new recipes that sound absolutely amazing…. that I just MUST make… until I realize- Wait!… I don’t have mini heart shape bundt pans…. or popsicle molds…. or rosewater…. or white miso paste. I don’t have these obscure tools/unitaskers and ingredients. And shame on these recipes for luring me in with delicious ideas I can’t execute on. 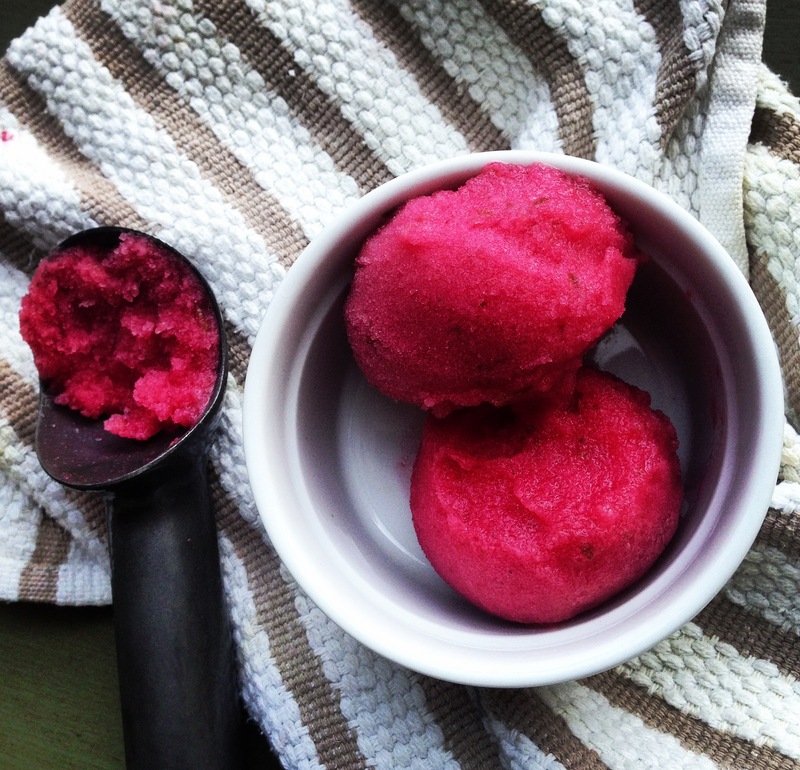 But I still want you to know about this tart and refreshing sorbet. 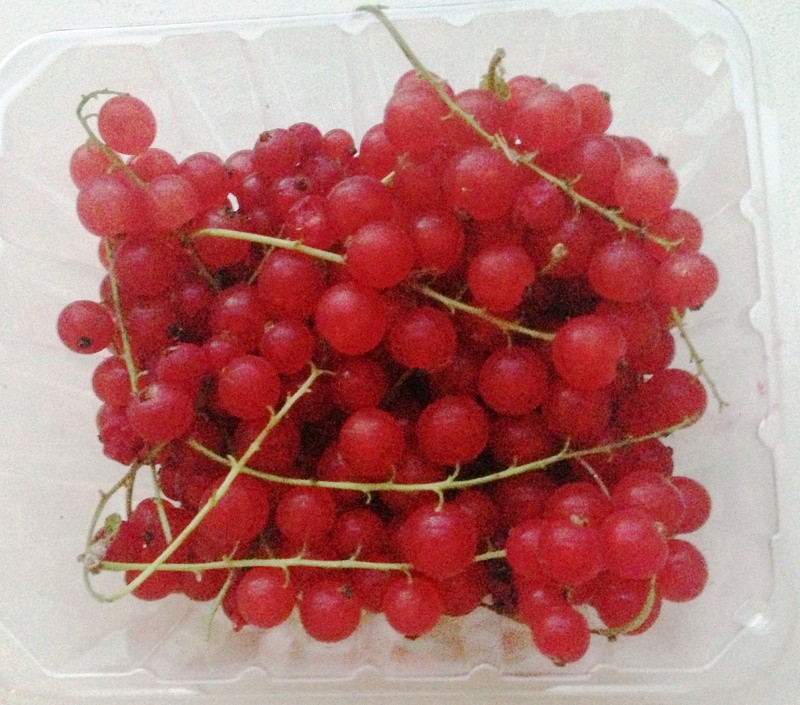 Even if you don’t have fresh red currants…. or an ice cream maker. So don’t be mad. Combine lime juice, red currants, maple syrup and water in a blender. Process until smooth. Pass through a fine mesh strainer to remove the red currant seeds. Mix the lime zest into the strained mixture. 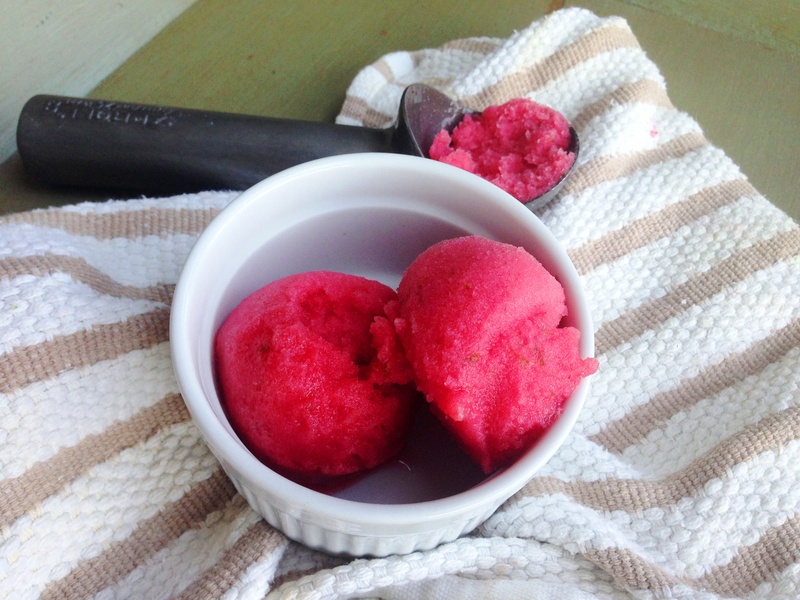 Taste and make sure it is sweet enough (try not to just pound this like it’s a juice before it becomes a sorbet… you’re going to want to but the sorbet is worth the wait). Mix in the vodka, then transfer to a large, sealable plastic bag and refrigerate until very cold. Freeze in ice cream maker according to manufacturer’s instructions. Transfer to a container and place in freezer until it hardens (at least an hour). 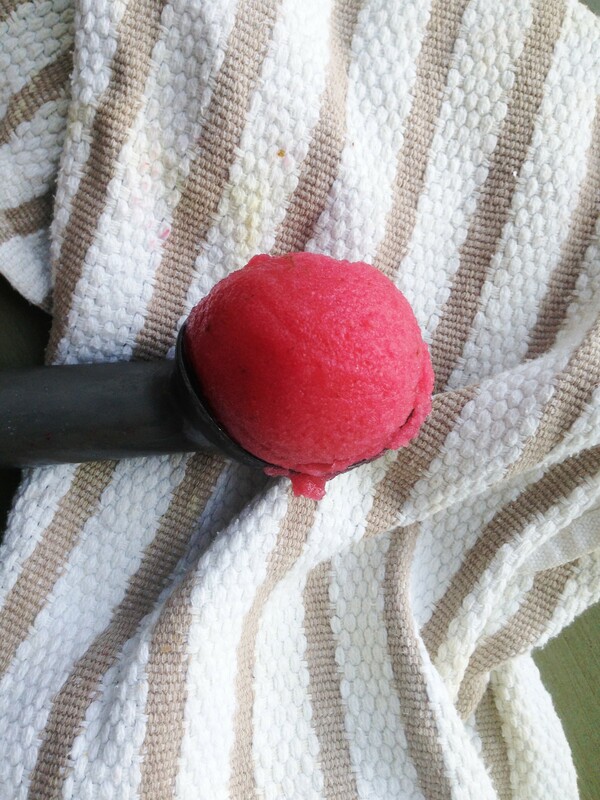 Turns out this is crazy easy…much easier than making ice cream. A lot of sorbet in my future.